This is just something from warmer days that I wanted to share today. 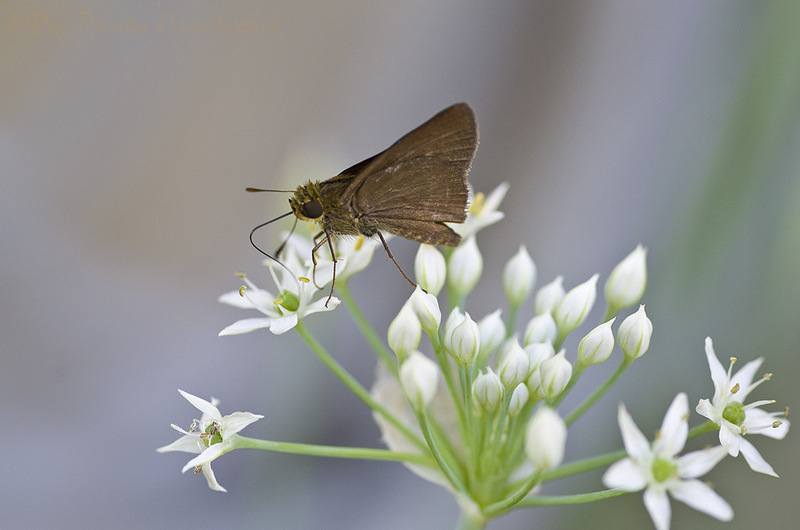 This little Skipper was partaking of some Wild Garlic blooms. I just read recently that Skippers make up 1/3 of the Butterfly population. We certainly have a lot of them in Kansas. Sometimes they are around a lot more than butterflies.